and i ran and ran and ran. the driving feeling that manifested physically beat inside me repeatedly until i acted on it. i constantly wanted to run away. the feeling i had, which i interpreted as a need, was constant. and yet even when i acted on it, even when i did run in some form or another, arriving never eased the command. “you still need to run” something inside of me would say. wandering flushes a glory that fades with arrival. i sought, i found, i repeated. nothing was easing the restlessness and sadness inside of me. until one day i couldn’t run anymore. i changed my avoidance tactics and found a new form of escape. i remember because the leaves on the ground around me were brown. prickly. scratching through my clothes to get to my skin. a sensation i probably recall mostly in retrospect as at the time i was determined to feel as little as possible— if nothing at all. they were always there during these episodes. 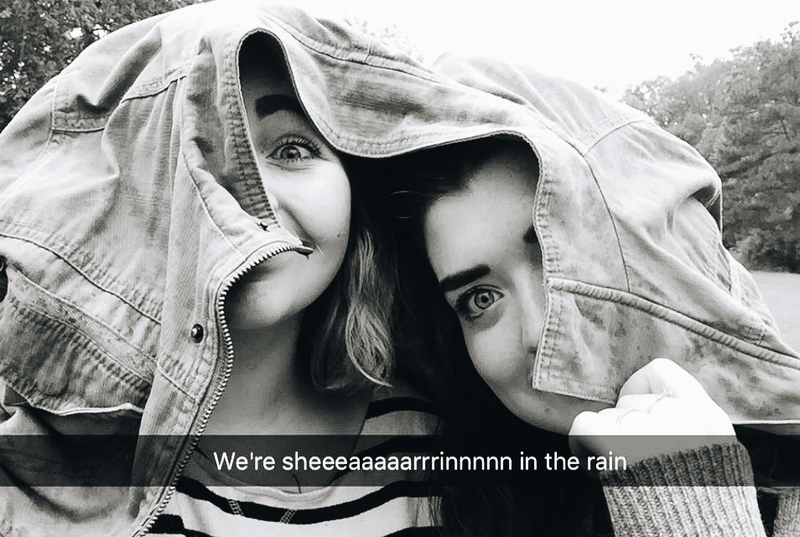 they were the one person i felt safe enough to do this with. the only person i told the majority of what it was i was going through and as such, in my mind, they’d been deemed safe. but perhaps the reason for my catatonia episodes around them wasn’t simply because they were the one who knew the most. perhaps i was testing them. seeing if they could handle the darkness that was fighting to envelop me. seeing if they would try to save me. if they could save me. i wanted to be saved. but it wasn’t until they gave up trying that i realized no one could be my savior. no one except for the one who already was, is, and has been all along. i haven’t had that feeling in almost three years now. a realization that came to me only recently. it’s been so long since i ran -ran to runaway- that i’d almost forgotten i used to feel so. i wrote the above in November. it’s part of a story i’ve been wanting to share, wanting to tell more people about. but i’ve held that desire with hesitation and caution. not sure if it was the right time. not sure if there would be negative feedback from sharing something that once was such a huge part of me. for it was several years ago now. but now, i’ve been feeling the darkness of that time inching back towards the middle of me. no longer on the outskirts, no longer outside of the lines and realm of my person. it’s inching in, recoloring the lines and make-up of me. but i am fighting it. i crave intimacy and vulnerability from like-minded souls. from their art, voices, time spent and day-to-day lives: however that translates. but i realized that i cannot ask of others what i am not willing to give myself. when thinking back on that time i realize i didn’t feel close to people because i didn’t feel close to myself. i was joyless because i had a misplaced sense of joy. i attempted to put it into things and people unable to hold it in the first place— ill equipped to carry, to nurture, to be the base and grounding of me. but i recognize now that the ground that is able to hold me is the one that i came from. the one that was made by The Creator of all ground. and that grounding, that saving that i so fervently sought, could only come from Him. i’m sharing this about myself, i’m sharing this story, not because i want you to perceive me as a troubled artist, a wild and wayward wanderess, a deep and introspective individual or a warrior who’s fought a hard battle, but because i believe i went through what i did for a reason. to deepen and strengthen my character and sense of self-sureness: yes. but also because i know there have been so many words voiced, experiences shared, confessions given, and admonishings made from others that have helped me get into-through-and-out of so many hard times in my life. and if mine can in any any any way do that for someone else, even on a small scale, than i want to honor myself, my experience and my one Holy God in that. because i went through such darkness, despair, and inner struggle. and if you’re there, if you’re in a dark place right now, so much so that you’re having a hard time seeing anything anymore at all, i want you to hang on because there’s still light. there’s still a little prick of it shining-glowing-beckoning from the end of the tunnel. and you have everything in you already that you need to start working your way towards it. you need to be okay with asking for help. the first few steps of making your way in that direction? there's level ground just ahead. and I do not forsake them. for you are my God! in the great assembly I will bless the Lord. some new pieces are coming to Folking over the weekend so be sure to check out the instagram for them! in the mean time, here are some iphone snaps of some favorites from this past month. also be sure to get on the actual instagram app, not just the web version, and follow the folkling instagram stories! i post a lot of videos on there of pieces i haven't even posted on the grid, as well as extra details of posted pieces. most of the sales have been moving through that truth be told, so be sure to keep up with it! and to those of you who have already purchased something in Folkling's first official month of being: thank you. it means so much to see this new venture's idea of giving forgotten things new homes and making at least a small dent in the need to buy less by buying what's already out there, one-of-a-kind, quality and timeless, resonating with people. also, there's a Folkling Facebook page now too! my sweet friend Erica Dreybus is truly one of my favorite people to photograph and i have to give her a special shout out for modeling for these. you may recognize her from past posts here and here and here. i visited one of my favorite places last weekend— the Virginia Museum of Fine Arts. this place has been witness to so many moments in my life. both with others and alone. it's a place that feels like home to me. i specifically went to see the new exhibit of Jasper Johns and Edvard Munch's work and was surprised by how much i loved it and was inspired by their artistry. previously only familiar with Munch's The Scream, i was truly enrapt with the diversity and beauty of both of these artist's work. i read a plaque on one piece (often the words on the plaque beside a piece of art end up meaning more to me than the work itself. i'll frequently snap photos of them or write them down in a notebook. words immerse me.) that stated that Jasper Johns worked on his cross hatching technique for ten years. that's about a third of my lifetime. i've heard it said that to truly have mastered the art of something and to do it well is to have stuck with it for a decade. an idea, in this have-it-right-now society of ours, that's so foreign. we are used to instant gratification. what is it to work at and stick with something consistently for ten years? perhaps that strikes you as discouraging, but i find it the opposite. because it's a reminder that success, in all of it's various forms, is not instant. that the achievements truly worth having in life are worth working hard for. as, once obtained, they will taste all the sweeter for we truly know what it was to earn them with our blood, sweat and tears. my business is reaching it's sixth birthday this spring, and while it's changed and varied in it's execution, i'm proud to say that i've stayed true to who i am as an artist and how that's translated in different ways over the years. it feels good to look back at something and, while the look of it doesn't appeal to me now, or my tastes have changed since, i'm still proud of it. because i know at the time of it's execution, that was who i was, and i embraced that and lived it out fully and gave it my all. so here's to the next four years, to reach that ten year mark. i hope i look back when i get there and am able to still be proud of what i've created and what i've worked for. p.s. another realization and thought brought about by the exhibit was on the resiliency that joy brings amidst despair, which can be read here. p.p.s. this exhibition prompted me to get back into painting more than ever (something i shared a few weeks ago)! you can see a photo of that here. Being able to visit Beltayne Farm was a result of a connection I made through someone seeing this Instagram post of mine and kindly recommending me to their friend Sunshine’s shearing day that she and her family were hosting. 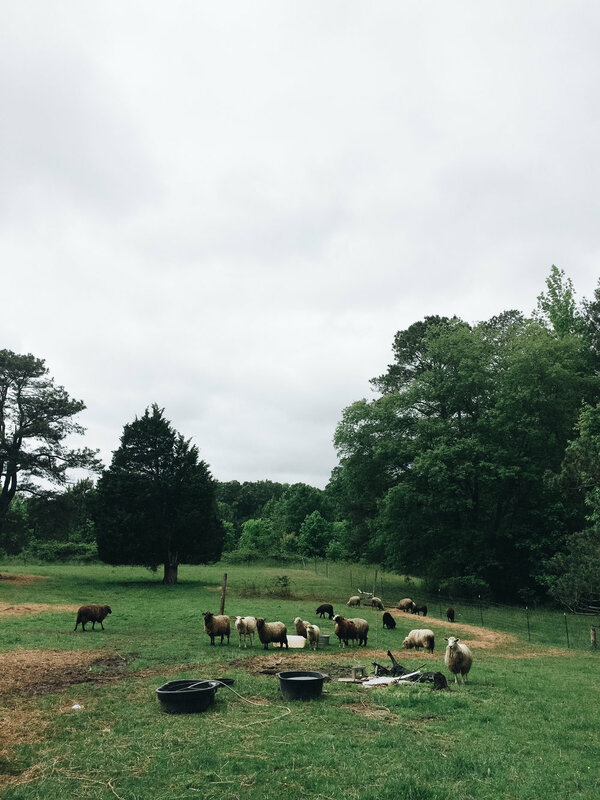 After exchanging some Facebook messages, and grabbing my friend Meagan to come along, I headed out on one rainy Spring day to see some sheep. We had the best time and instantly connected and loved Sunshine and her family who could not have been more generous or welcoming (sending us home with a dozen eggs from their chickens, as well as a promise of some wool upon our next visit). The Summer has gotten away with me and kept me quite busy but I hope to return to this little homestead sometime soon to revisit the new friends I made there. The day involved me holding my very first little lamb (named Pip… whose sibling is named Squeak) which obviously could not have made my day any more than it did. I'm grateful for the generosity and kindness of strangers that’s extended and shared even before common interests and passions are established. Hope you enjoy a few iPhone snaps from the day! It's no secret that I have quite a deep and over sentimental love for figs. Shortly after coming home from a long trip recently, I spent an hour or two of an afternoon fig picking, fig peeling and fig mashing for fig jam with two lovely ladies. It was the perfect first thing to do after being on the road for a week.